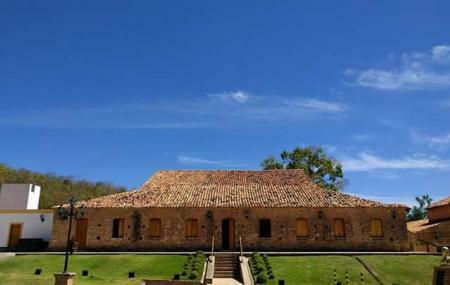 Decorated in colonial style, this place is one of the topmost attractions in Barbalha. A blend of history and architecture awaits you here at this beautiful building. The place has strong ties with its colonial past. The place has old buildings built in the 18th and 19th centuries. The facilities in this building represent the sugarcane cycle in the Cariri region. The building has a restaurant offering a wide range of local cuisines. We advise you to come here at evening when the entire building glitters with electric lights and appears to be a ‘palace in the paradise’. To personalise your visit to the city, you can use an all-inclusive Barbalha trip planner for the same that will give detailed information about visiting the city. Your worry of where to stay in Barbalha is sufficed by bunch of interesting and comfortable lodging options in the Barbalha like Canavial Plaza Hotel, and Imperial Palace Hotel. Draft the best Barbalha vacation packages using ideal templates offered by TripHobo. Also explore how to reach Barbalha on the go! Love this? Explore the entire list of places to visit in Barbalha before you plan your trip. Fancy a good night's sleep after a tiring day? Check out where to stay in Barbalha and book an accommodation of your choice. Ambiente lindo, organizado, atendimento e limpeza impecáveis.